bool(false) Best way to go about playing live? Best way to go about playing live? 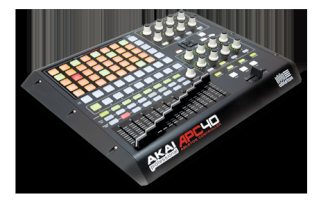 Just received my APC40 for Christmas and am stoked to start using it! But here's my situation: My friend and I have a project that we'd like to eventually start to play live with. He sings, and I would be providing the music via my laptop and APC40. The problem is that since we started writing this stuff before we thought about playing live, all of the music has been written in the DAW I'm most familiar with, FL Studio 9. I will eventually be making the jump to Ableton, hopefully after we've finished these last two songs. What would be the best way to go about playing these songs live? Should I export solo'd elements of each song (i.e. the drums, synths, fx, etc.) and trigger them as clips while applying live fx? Or maybe have certain clips be different sections of the song (such as one clip being a half time beat and another being a four to the floor). So far I'm leaning towards the first idea. While I may be doing less on the APC, I'll also be doing some vocals as well, so I'd like to keep my options open for multitasking. Any ideas you guys might have would be great! I'm open to anything.